Shas chairman compares religious Zionist community to Reform movement. 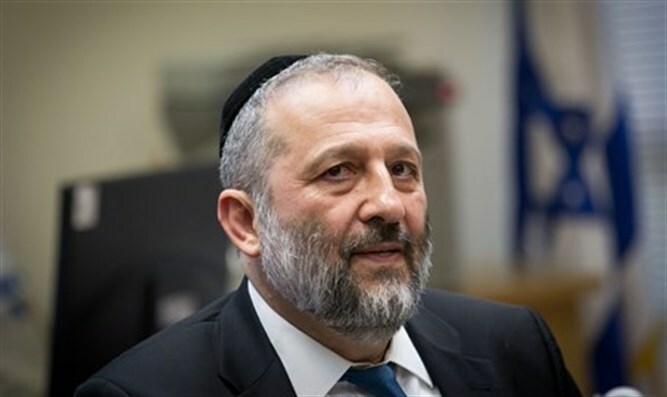 Interior Minister Arye Deri (Shas) attacked a number of senior religious Zionist rabbis against the backdrop of their struggle with the Chief Rabbinate of Israel. "Even those with knitted skullcaps (religious Zionists), in very large communities, are already on the edge of the Reform Movement," Deri said at a closed conference Monday. "Anyone who knows how the synagogues and prayer services are run there...there are really big changes. It is true that there are more kippot and they are more Israel, but they are on the edge of the Reform." Minister Deri's recording of the conference was broadcast on Channel 2 news. He also referred to the conversion law and said that "the greatest fighters against this law were Tzohar rabbis, together with the Reform movement, because they knew that the goal was to destroy. They enjoyed the tolerance of others, in order to slander the rabbinate and to look for all the faults." The Shas chairman attacked the Tzohar movement. "Everything is free, with a smile, with a light face, when we all know the truth." The Tzohar rabbinical organization said in response that "these things are not worthy of a response, both because of their content and because of who spoke them."